After rumors surfaced earlier this week he was to make the switch to Hendrick Motorsports, Stewart-Haas racing today announced Kevin Harvick has signed a long-term contract extension to remain with the SHR squad. Many believed loyal Chevrolet driver Harvick would jump ship at SHR following the team’s announcement it will race Fords from the 2017 season onward. That clearly isn’t the case, with Harvick saying he’s happy to re-sign with the team that helped him win the 2014 NASCAR Sprint Cup Series championship. Harvick has enjoyed a massive amount of success since joining SHR in 2014. 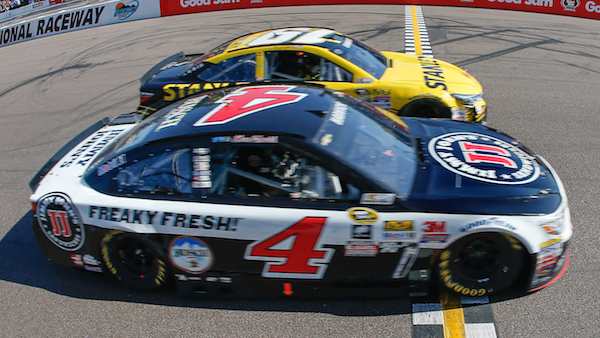 In addition to the 2014 championship, Harvick won three races in 2015 and posted 23 top fives and 28 top 10s. So far in 2016, ‘Happy’ Harvick has posted a win, five top fives and nine top tens. NASCAR will race at Charlotte this weekend for the 2016 NASCAR Sprint Cup Series Sprint All-Star Race.